N E Decorating - Painter/Decorator, Tiler - Tiling based in Goring-by-Sea, West Sussex. 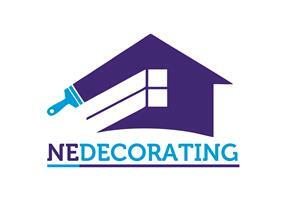 At NE Decorating we take on all aspects of residential and commercial painting and decorating for both interior and exterior decoration to not only improve the look of your property but to also protect it. Using the right techniques and materials ensures long lasting results to protect your walls, woodwork, doors and windows. As Checkatrade members you are assured the highest quality of painting from the experts at NE Decorating. We can work with your design ideas to transform your home. If you struggle with wallpaper leave it to us, let us do the hard work so you don’t have to. There’s nothing like a professional finish to make your home look cleaner and fresher and even help with re-sale. We take the up most care and pride in our work treating your property with respect at all times. We offer a bespoke service whether it’s one room to be decorated or an entire house.